Hygienic, practical, easy to use and highly ergonomic. 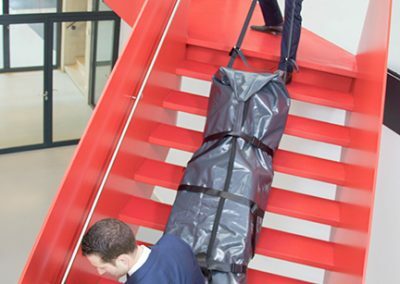 It is physically demanding work when having to carry the deceased through narrow passages and down narrow staircases. 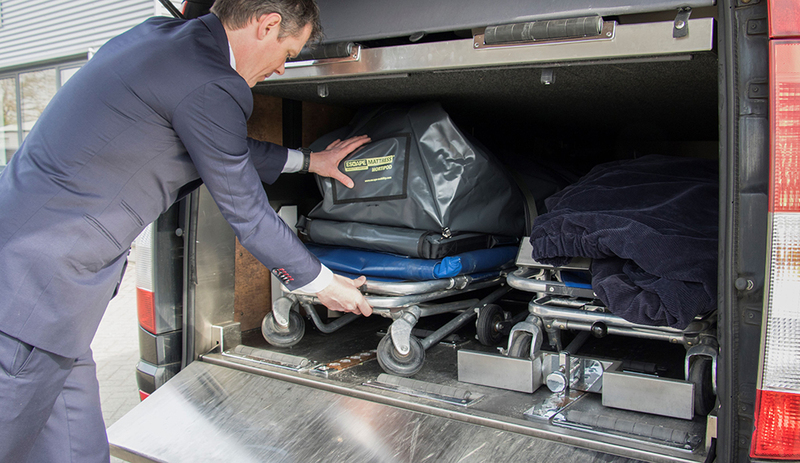 This has a major impact on the physical strain on people working in the funeral industry. 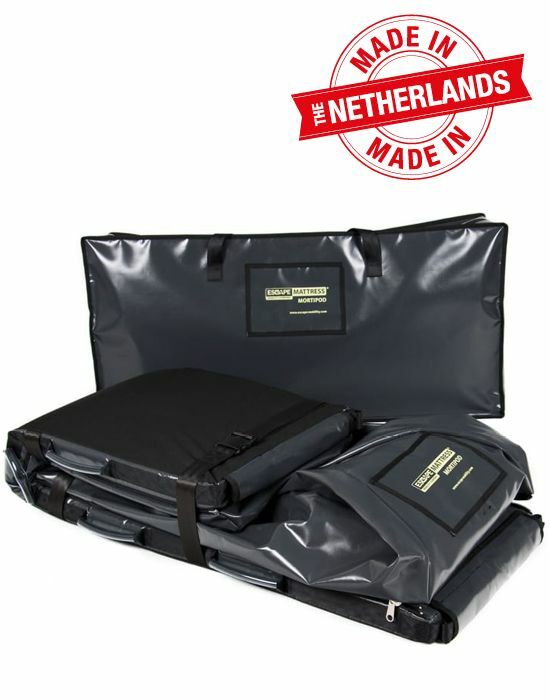 Through our experience and feedback from our customers, we have created an optimal solution. 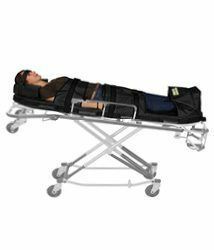 CE certified and TÜV tested and certified on 150kg pay load. 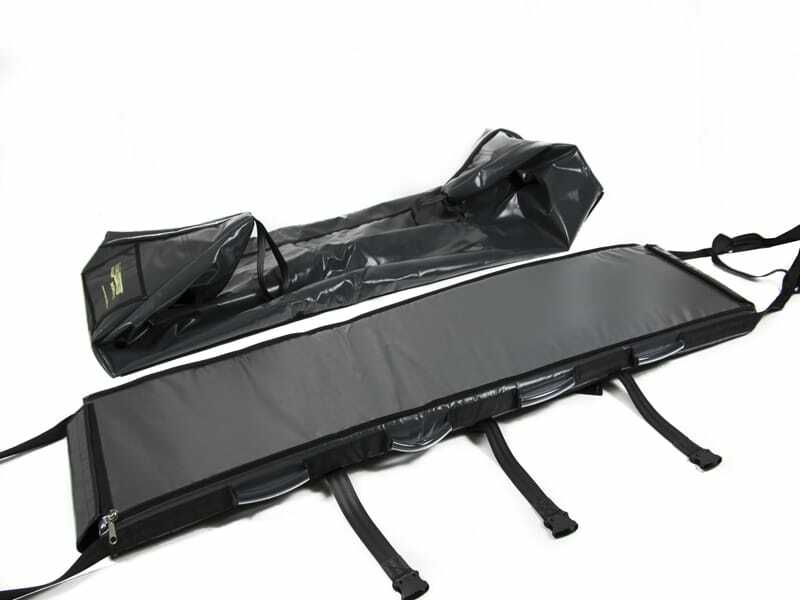 The Escape-Mattress® Mortipod is a 3-in-1 solution. 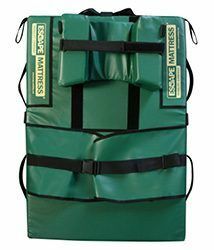 It is a towing mattress, carrying mattress and stretcher mattress as well. 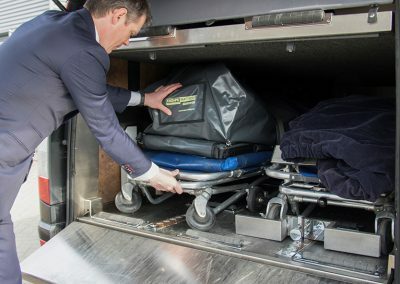 The Escape-Mattress® Mortipod helps you to meet the stringent health and safety regulations that are present in the UK when it comes to moving and handling of people, as it takes the strain away and makes lifting and moving the deceased less stressful. 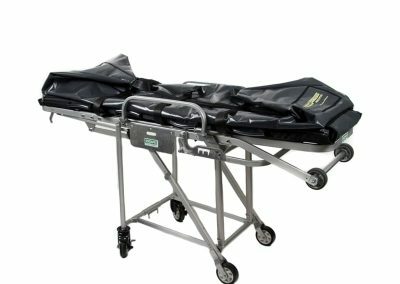 The material of the Escape-Mattress® Mortipod is very robust (towing across the ground), hygienic and easy to clean and doesn’t absorb moisture. 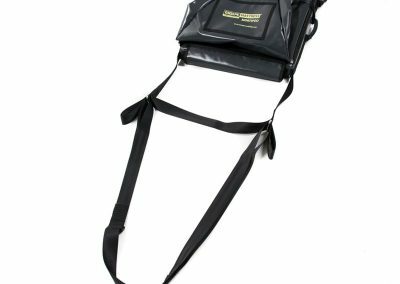 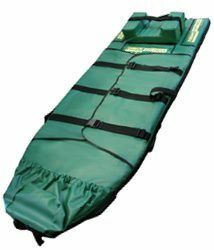 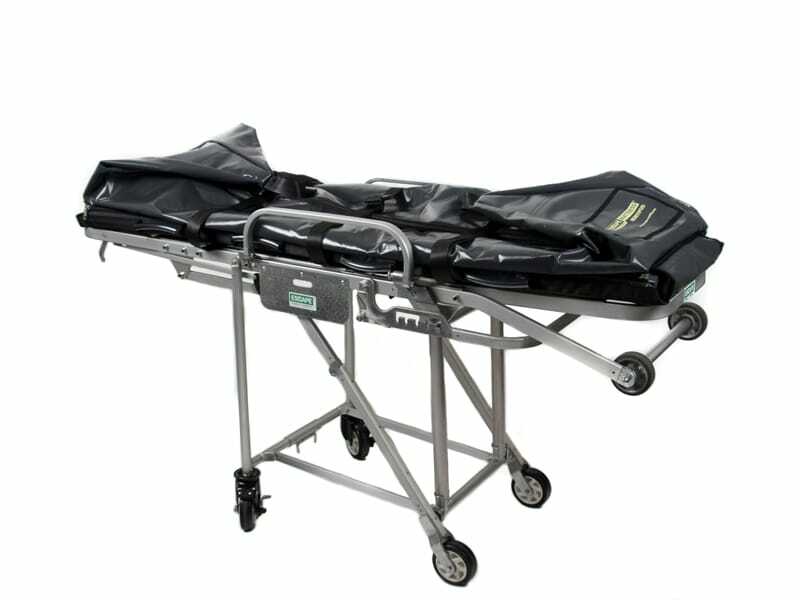 The Escape-Mattress® Mortipod is narrower, allowing the Mortipod to be transferred onto a stretcher. 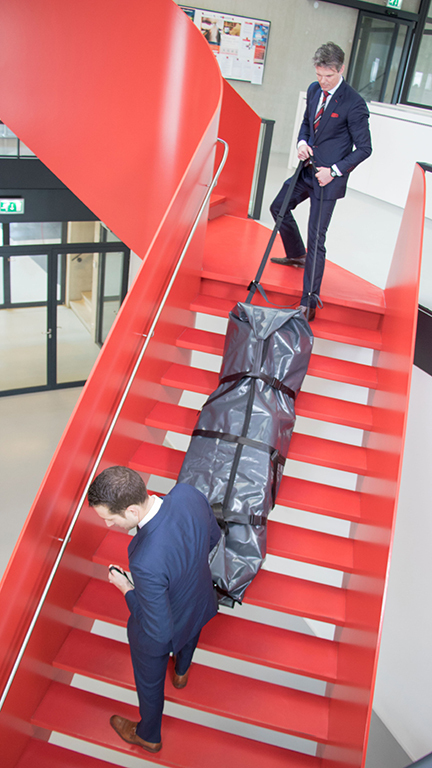 Due to the Escape-Mattress® Mortipod being narrow, it is more agile and therefore easier to use in confined spaces. 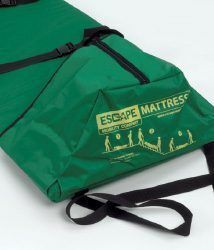 The Escape-Mattress® Mortipod closes using a zip and buckles. 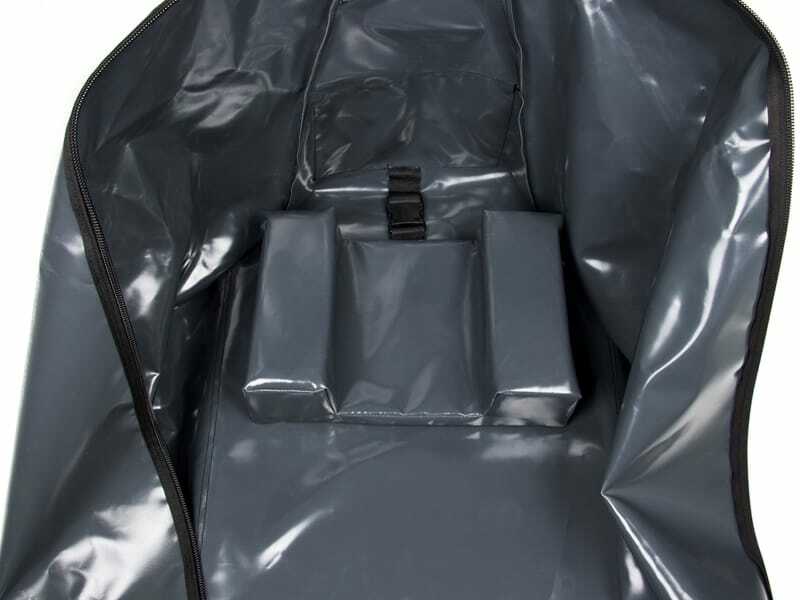 This is much more hygienic than Velcro because the buckles do not absorb moisture. 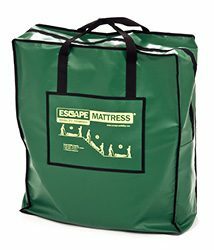 Clothes no longer get damaged by the Velcro and the buckles make much less noise than using Velcro. There are 4 handles on each of the long sides. 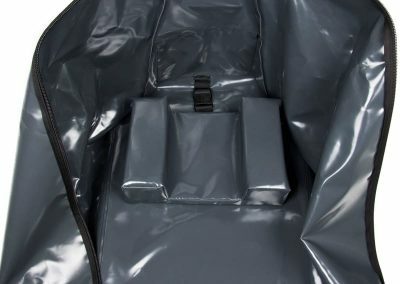 These handles are covered with soft plastic tubes which makes handling the Escape-Mattress® Mortipod safe and user friendly. 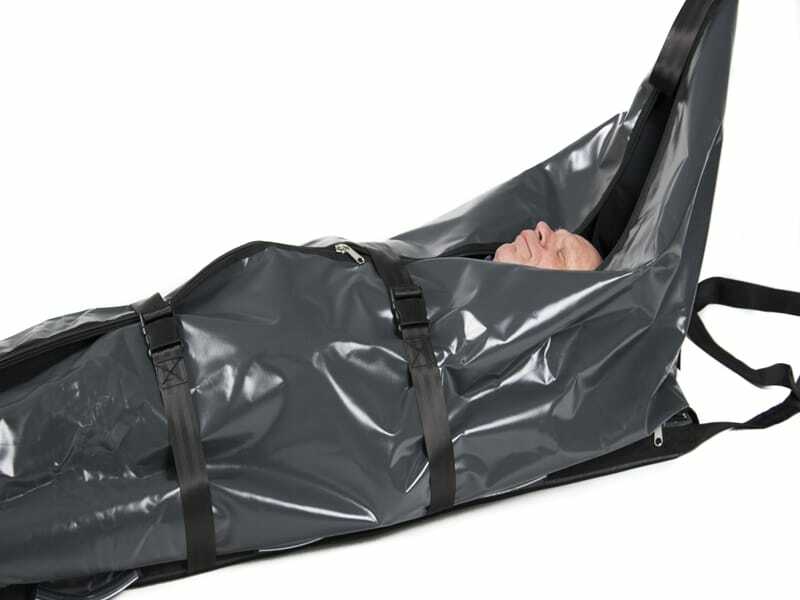 The Escape-Mattress® Mortipod is easy to store. 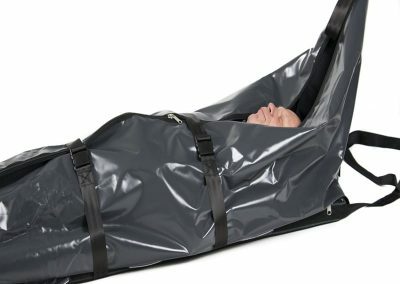 Just close the body bag with the zip and buckles, clean the mattress with a disinfectant and fold away the pulling straps. 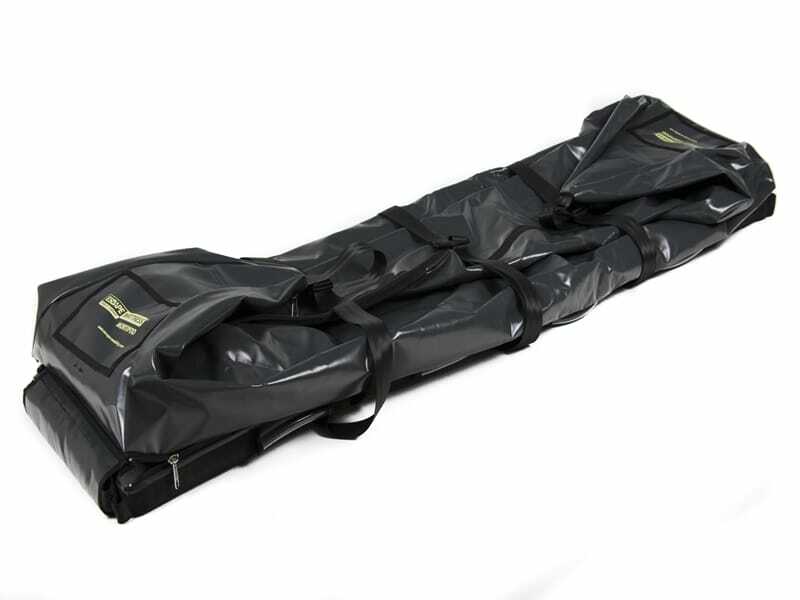 Fold the Mortipod into the bag that has been supplied with the product. 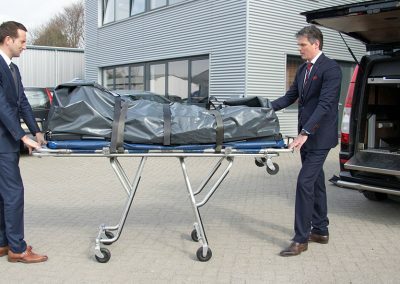 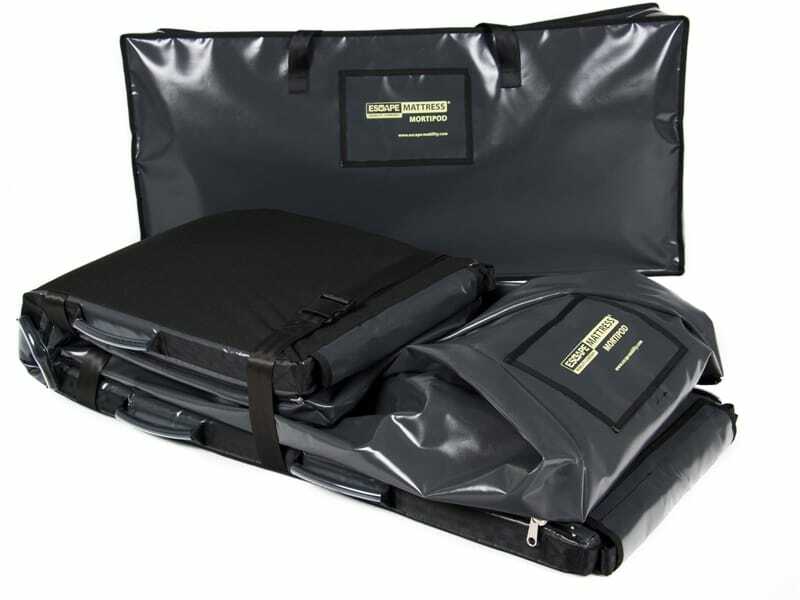 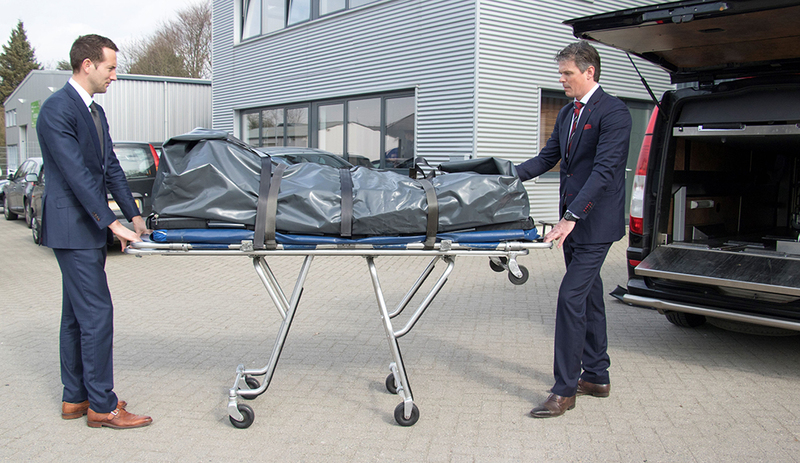 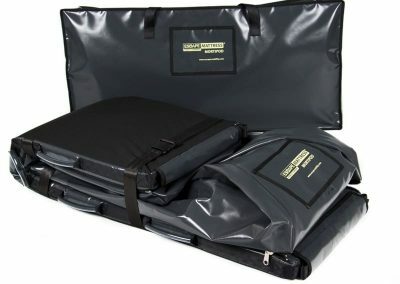 The Escape-Mattress® Mortipod is mainly used by coroners and undertakers.